. : In English part 12 :. I took the sweet Matron to work this morning, early, at 7.20 a.m.
She should, as usual, take care that young and aspiring students do not cheat at written exams. And she is good at that. Every time I try to cheat with whatever, she immediately finds out. For example, I am curious as to what she is going to say to my performance with the vacuum cleaner this morning. I cheated a bit. How does she comment on my cleaning and bed-making? I cheated a bit. But do not tell her. Maybe she's so tired that she does not discover it. It makes me a little nervous until she'll get home at 8 o'clock p.m.
You read that correctly. She will not be off till 7.30 p.m. This means a working day of almost 12 hours. That's hard. Well. It is similar to my workday today. That was also tough. On a scale from 0-10, I'd give myself 12 for courage and perseverance today. 3 large supermarkets laid floors to Matron's shopping raid. And three times I had to reluctantly remain in the car and play WordFeud while the store was emptied. Let me immediately admit my hypocrisy. There is nothing more enjoyable and less stressful than sitting quietly in the car instead of being dragged around in the supermarket. You can almost say that I enjoy going shopping. Sometimes I love my iPhone. I must apologize and regret yesterday's diary. It was embarrassing. Rereading it today, I do not remember much about it, except that I thought I wrote something hilariously funny. That's not how it seemsot today. Therefore, I would now like to publicly complain both terms as spelling. It will not happen again. Fortunately, I was ready this morning and was hunting, and as the picture shows, it was not so bad. Somebody shoots well - but it's not me. It was this year's penultimate hunt. II''m niot gooings to tyire ju a lot wiht mai dairy tuodai. A bigg Xemas Parity has remouvied mai abilylytoi to wraite. Sou I shallll limitere mai wraiitikngs tu oner woord: CHQEERSY. About 40 years ago it was an unavoidable routine that our 2 time young children nearly every Sunday with me visited the Museum of Natural History at the University of Aarhus. They loved it. They have continued this tradition with their own children, and today it was the latest of the clan who for the first time trod the "hallowed halls". And it was a good experience for him, his father, and especially his grandfather. We went through the well-known program. 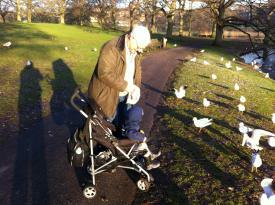 First feeding the seagulls and ducks and then visit to the museum. Here, things took off. The little man was wildly one the move like in a race. The little guy didn't care a bit about the animals as long as he could be allowed to run full speed along the long corridors between the animals. He was one big laugh from the time he came till he went Although he often is amused this time must be the "record" for him. He ran so much and so fast that it was hard to photograph him. All the time on the move . I reassured his father that exactly the same was the case when he himself exactly 40 years ago was there for the first time. On this numerically unique day I chose to get up very early, 5.30 am. The mere thought of the absurd time could have ruined my night's sleep. But it didn't and it was worth it. 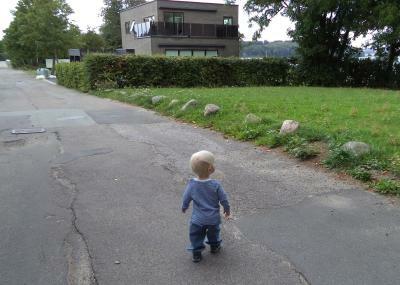 Because of problems with the daycare at Hammel grandson Frederik was to be 'thrown' into the 3rd childminder this week. And neither matron nor I could accept that. Therefore, we were in place and in working order at Hammel at 7 o'clock for the great pleasure of looking after the little one. At 10:30 a.m. it was a birthday party at sister-in-law in Silkeborg with built in brunch and with a visit to the cemetery to lay a wreath on my parents' grave. Then home picking up a borrowed trailer to the collection of new couch now in a short time which will mark the completion of our renovation of our house. A big hurray for that. Come on, everybody together, 'Hip Hip Hooray. Many thanks'. Some years ago I would have denied the possibility. I have become interested in stamps without knowing the least about them. About the reason for this new 'interest', I must tell you that I many years ago was given my father's collection of very old stamps. Later (ie approx. 30 years ago), I began indiscriminately to collect newer stamps, and I managed to collect quite a few that were just tucked away. They are the ones I've now started sorting and putting into a folder. I do want want to be a hypocrite. I see money waiting for me, and it's a fact that you get more for your stamps if they are nicely placed into folders. Strictly speaking stamps do not interest me at all, but their possible value does. This is the way all top-rich capitalists started. They were numb to the sentimental parts. Only money talked. I am looking at a bright future. I ventured out on my bike today. Meteorologists had promised weak southwesterly winds and only a little rain. I ought to be the wiser. The wind was from the northeast, and it rained on the entire ride - and still does . 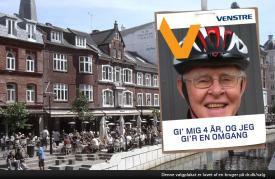 So I was wet and miserable when I came home after 51.5 kilometers in and around Aarhus. I was wet to the skin, rode without rain gear. It didn't rain when I started, but 10 minutes later it did. Only problem. It's now been 2 ½ hours since I got home, and I have not got the warmth despite a hot shower. Never mind, it will come - if not before, then when I go to bed. To bike is to live. A few weeks ago I was in the the stupid habit of falling. For 3 consecutive days, I managed to fall for one reason or the other. Yesterday it was Matron's turn. She was unhappy with the storm's 'droppings' on the windows and wanted to have them removed, She stood up on the small terrace under the windows. I was busy in my room and was suddenly interrupted by my iPhone ringing. Matron's weak voice was barely audible : "Come and help me up". I jumped up and found the sweet lady sitting confused on the tiles. 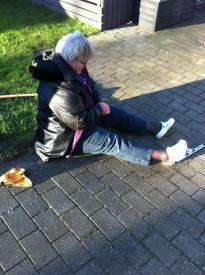 She had fallen down from the terrace, tumbled and landed nearly on the grass 2-3 meters away. She had hurt her hip hip and her hand - but luckily she told it all grinning. I didn't do that when I fell. I'll turn the time back to Monday 2nd November 1964. The place is Risskov School, the time is 8 a.m.
A nervous, newly graduated teacher (me) is to meet his new class (8.A) for the first time. He gets a tense, but very friendly reception and immediately feels that there is a basis for a good working relationship - and he turns out to be right. The class graduates in 1966, and normally that would mean goodbye forever. But not in this case. The sweet "children" had a unity that led to many get-togethers since then. And, thankfully, their teacher was invited every time. And he enjoyed it every time beyond all measure. Latest reunion was last night, a Christmas party. Regrettably, the weather caused the absence of some. Seven were there plus my sweet wife and I . We had a pleasant evening with good food and drink - not to mention a lot of talk. If everyone had been there we would have been 13. Unfortunately 4 died. It is incredibly warming that we continue meeting - and so much enjoy being together I love those "kids", who now are close to retirement. In 2016 we are going to have our 50-year anniversary. What a celebration that will be. Bodil, name of the storm, has left us. Peace be with her ​​- she will not be missed by anyone in this country. Except perhaps those who live from repairing roofs. Bodil was bad and unfortunately caused accidents of a serious nature, including tragic deaths. 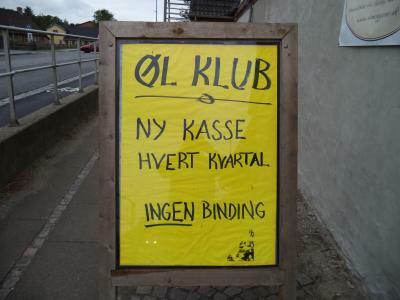 Still Danish humor does not deny itself. Still you'll hear and read small comments of a humerous nature. Among others one of my good dog friends writes the following, "Bodil came by last night - she was dragging a thatched roof." Another friend writes: "One is not used to being shot at with trees - even if I have a past in Scotland. Here they throw around with them just for fun." And one that quotes an ad from Fuenen, "Bingo in the Village Hall is canceled on Sunday, a gable is missing." A powerful storm is on the way to Denmark after having ravaged Scotland and England. Just now the storm is heading across Jutland in the direction of among others Studstrup. Here we are going to hold our breaths after having secured everything possible and trying to keep spirits high with a good, heavy meal. That will no doubt be well suited for just that purpose. I was hunting all morning in slightly cloudy weather - until at approx. 12 o'clock, when the first gusts of wind came, and soon after came the rain. So we were all wet and quite miserable at the end. Just now I'm sitting comfortably in my nice sofa, still somewhat colf, although it is a few hours since I got home. So, what's better than a good helping og good food, while the storm rages out there? Matron and I woke up this morning at a beautiful hotel in on Fuenen. Here we yesterday evening enjoyed a 3-course dinner of the highest quality. Everything was perfect, including a good red wine. Breakfast was not to be despised either. The reason for the stay is that we as a gold wedding gift from old dog friends were given the stay, and after many days of hard work with the renovation of three rooms in the house we felt that it was appropriate to take a break and be spoiled. We were. That the trip was extended with a visit south of the border with various crazy shopping, I had to take as a man. And so I did. Now we lack nothing for Christmas. A very big and pleasant surprise awaited us at home. 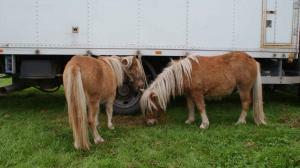 Our daughter and eldest grandchild arrived just as we were about to unpack, with a trailer and took ALL waste from the renovations to the dump. They deserve a medal for that. What a relief. Yes, it's been a good day. I have been begged to reveal what sort of a thing the yellow gadget that I showed in my diary Thursday 28/11,is. I have received some suggestions but I'm sorry to say that none of them were anywhere near correct. No, it's not a dough scraper and not a parsley chopper nor something that I use on hunts to make me more visible. The yellow plastic plate is folded lengthwise in a nice, round arch. The sock is pulled over the plastic and is secured on the two "humps". The foot is put into the thus obtained hole and into the sock. Pull the two strings, and ahoy, the sock is where it should be - on your foot. By this operation you have saved yourself excessive groaning and snorting due to a slightly overweight stomach. It's kind of smart, isn't it? Be prepared. Take your precautions. Close all shutters and doors tightly. There is a storm coming our way from the mighty Atlantic Ocean. Should be with gusts up to hurricane strength. Hold on tight. And shall have plenty of rain. Meteorologists just disagree if the storm will reach us Thursday late in the day or during the night up to Friday. And they won't find out until it is Friday morning. Secure everything, including bicycles, cars, small children, garden furniture, trampolines, dogs and cats. 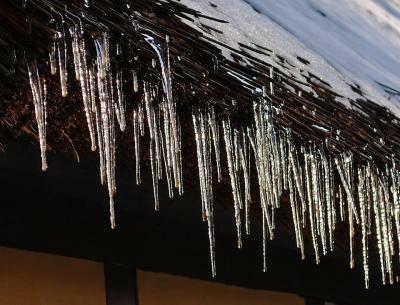 Place a pair of strong wires above your roof so it does not blow off. Do not answer if someone knocks on your door. It may be Christmas on your doorstep wanting to enter. Or it might be your mother-in-law. But remember. We only have our meteorologists' word for it. The month of Christmas is here. Fir, glitter, stars, pixies, cakes, fritters, Christmas eggnog and extra hustle and bustle culminating in 24 days with a feast and a gift exchange that beats anything in the world. Have you incidentally remembered to open the first door in your Christmas calendar? Did you remember to light the Advent wreath? Did you remember Advent gifts to the kids? Can you keep track of the Christmas parties, you have to go to? Have you made ​​a list of this year's Christmas gifts? WHO is going to have what? Have you thought about buying your Christmas tree, a duck, goose or turkey and roast pork and especially rice pudding? The list is incomplete so there is enough to remember. And it all started in mid-October. Despite all this, I declare myself a "Christmas lover." I am looking forward to being with my family. I love to eat and drink well. I love marzipan and other Christmas sweets. In short: I'm a real Christmas fan. A look back at yesterday's diary will show that I was in doubt as to what today would bring. Would it be cleanup or cycling? Would Matron be able to forget all the things that should be put in place after the renovation and allow her workhorse of a man having half a day off. Luckily for me my boss pitied me, and I rode a beautiful, albeit a cold trip of 55 km. Since I have not been on a bike for just over 3 weeks I was excited to see how all might go. Fortunately, I had fairly good legs even though I 3 kilometers before finish felt a heavy acid attack in my old thigh muscles. I overcame my crisis and reached home without further problems. Nice ride. It's good to have an understanding employer. After having completed yet another room with everything needed I hope now for a small break in the heavy physical exertions, simply just to catch my breath. Matron like me is very happy with the result, though. New furniture, pictures and carpet. The idea is that this room will be "her room". Left now is just to get the last stuff put on and in shelves and cupboards - and the worst: Millions of tools must be put in place in the workshop which right now looks like the remnants of a hurricane of scale 5. It ought to be cleared up tomorrow. But it may also be cycling weather. Exciting how I am going to spend my Saturday . It is time that my gentle and kind readers are given a test - a tough one. I want to test your knowledge on the yellow object in the picture. It is 20-25 cm. 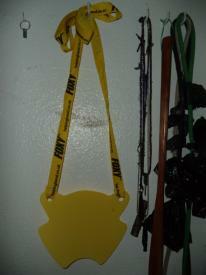 high and wide, and two wide straps of nearly 1 meter are fastened to it. Do not be confused by dog whistles and leads etc. They are there just to give an idea of ​​the size. But what do you use the object for? I do not give any support in the first round. It is made of plastic. I know two nice people who know what it is. But they will probably not reveal anything to start with. If you prefer, you can send your reply in my mailbox. Please click here. 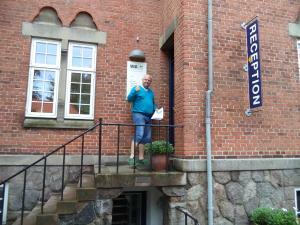 For 41 years I was in the Danish folk school. I have seen and heard all an enmployee there could imagine. Frightening, sad, hapyy and joyful experiences. I have taken part in innumerous imployments and a few dismissals, fortunately only a few. Great was my astonishment when a couple of weeks ago I happened to read in a nationwide newspaper from 1972 that a teacher in Copenhagen had lost his job because he was too kind to his pupils. 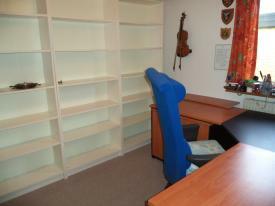 He was a music teacher and nobody including the head teacher doubted his qualifications. BUT. You are too kind, my friend. Out you go. Fortunately a neighboouring Scholl didn't mind kind teachers so he was employed there. He never recieved an official ground for his dismissal. So, you teachers in Copenhagen. Don't be kind to the kids. You might get the sack. I'm late. I know it. I am a tired man. I'm a struggling man. The day started at.10 with the clearing of yet another one of our countless rooms. Everything should out, including a giant heavy sofa bed and 2 just as heavy wardrobes. In addition, other small items such as books, chairs, clothes, etc. Fortunately, I had good help which was not least welcomed in breaking down the the two drawers, heavy devils. 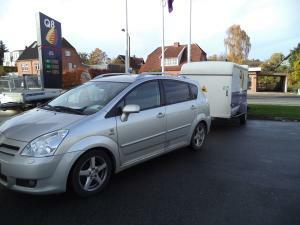 Then a car drive around to a couple of DIY stores for all sorts of needs, including a new carpet. Our working day concluded with painting the ceiling. We'e just finished. The time is 20:30. Shall I on it again tomorrow? Yes. Am I looking forward to the end of this? Yes. It is claimed by some malicious rumors that I misplace things and can not find them again. An unprecedented and inaccurate claim. Should it be true,I must console myself with the fact that I'm not the only one with that problem. ngrossed in the job I heard Matron giving a cry of enthusiasm from the kitchen. Grinning, she came in and told me that she had found the soft-boiled egg which she mislaid this morning. It was in the knife drawer where it had spent the whole day. It was very honorable she confessed her oversight. I had kept my mouth shut and thrown the egg in the waste bag. I'm almost done rearranging my small office. 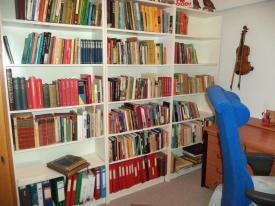 The menu of the day was getting my bookshelves filled up again. It's really a nice job to do. I need to have one and every book in my hand and in many cases cannot help but flipping through some of them. Time-consuming - but nice. Worst of all was that I had decided to dispose of all books that I have not looked in for many years and I know that I will no longer want to read. See the half-empty shelves that used to be congested. But even though it's a very rational basis for the cleanup it hurt anyway . There were books among that I bought around 1958. 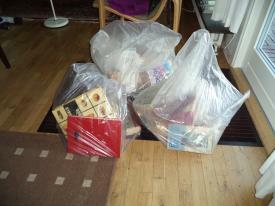 I was tough, and 3 plastic bags were filled and will be taken to the dump tomorrow. Sniff, sniff. This is going to be a little hard to explain - but let me get it over and done with - and it's not about falling. After today's definitely good hunting I entered my car to drive home. It proved an impossible task as my car key was completely gone. All pockets were emptied, in vain. Along with several others, I went searching along the path I had last gone, in vain. The area around the car was extensively studied with pocket lamps, in vain. Many people were so nice to help, in vain. I then had to call and ask the Matron to borrow our neighbor's car and come over to me with our extra key which she right away did. Finally I could go home . After returning home I immediately began preparimg for a hot shower, sat down and took off my hunting trousers. And what fell out of one trouser leg ? The missing car key . Very soon I shall ask our local CIA to start a thorough investigation of how the stupid key could end up in my trouser leg. Our neighbor is a little annoyed that one or more deer throughout the year visit her garden and remove all edible they can find, flowers, new growth, etc. This year she has not had a single flower in her well-kept garden. She has not yet managed to find a way to keep "Bambi" out, not even with higher gates. The culprit / culprits appear rarely or never. It all takes place at night. But the result of their visits are seen. For the first time I saw one of them today in the dusk when we came home by car. Gracefully it crossed one street and ran quietly down our cul de sac. It paid a short visit to our neighbor's garden, but quickly came out and went for a visit to another one. It was a beautiful, albeit a rare sight on our small street. I enjoyed following it with my eyes, but was convinced that our neighbor would not share the enjoyment with me. A successful day. 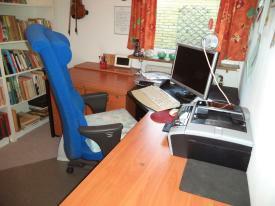 I managed to get both my printer and scanner to work in my nice, new office (see yesterday's description) . With the printer it was easy and painless. A cord just had to be fastened. The scanner took longer . First I found out that the cable that connects the scanner to the computer wasn't there. It was gone, just gone. I looked everywhere - I thought, spent a long time on it. Next I checked what sort of a cable it was and awaited Matron's homecoming so I could have the car and buy a new cable. But first my sweet wife had to listen to my complaints about the lost cable. She looked patiently at me during my explanations and then went into the utility room to scour today's waste bag. And quite as usual, she found what she wanted, my cable. I was happy, but failed to answer her questions about how the cable had ended there. I gave her 3 kisses for her help, called it underpayment and gave her another one. I'm a generous employer. Project "New Office" has reached the stage when my computer must be reinstalled, and I threw myself eagerly onto the task over dinner and have just finished (at 17:45). It went decently, although this is not my strong point. 1) Computer works. External hard disk works. 2) Scanner does NOT work. Printer does NOT work. So two out of four are in order. This I regard as a success. Look back on Diary 8/11 this year. Relive the excitement surrounding the mysterious trailer. What role did it play? What was Matron going to put my weakened body through? The great mystery is about to be revealed for general admiration. 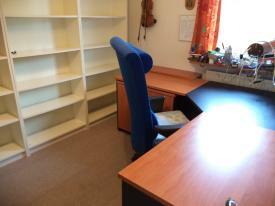 The whole task was to change virtually everything in my small office. Out with the old teak desk and the large computer table. In with newer furniture with kilometers of drawers and shelves, picked up with the trailer from good friends, who were in surplus with office furniture - and a new carpet was bought. Everything is now in place. I just need to get all books and papers put back in place and not least to have my computer reinstalled. 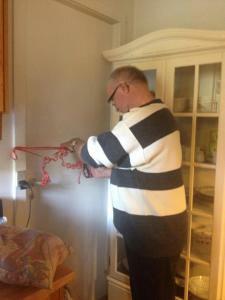 We reached so far today thanks to the help of our good "tile man" who also assisted with our utility room. He is an accomplished and versatile craftsman. Follow the room changing in the photo series. I like unexpected visitors. The spontaneity of such visits is very nice. Obviously the joy is improved when it is sweet and nice people who unexpectedly turn up to say hello and having cup of coffee, or whatever it may be. Thus today too. The doorbell rang, and outsidea good, old hunting friend and his sweet wife stood. They just wanted to congratulate me on my birthday and handed me a gift that really pleased me - both in thought and stomach. A huge plate of raspberry cakes, my favorite cake. And they were with vermicelli on top, which I was very pleased about, and not least it will please the President of "The Association of Raspberry Cakes", my good, old soldier friend, Mr. Kruse of Løgstør, who claims that raspberry slices without vermicelli are equivalent to sacrilege. In any case, I was really happy with the visit. 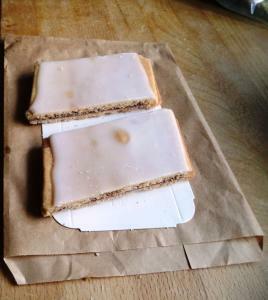 A nice surprise with splendid raspberry slices, that are unlikely to survive the day. When I ask myself, on what occasions I am most happy, there is a point, protruding, family visits. All children, in-Laws, and grandchildren were here today from noon for roast pork with all kinds of accessories. I love sitting quietly looking around at all of them, while they are talking, smiling and laughing. I can spend long moments doing this. Love them. Looking forward to next time they'll be coming back. PS: I did not fall today. Surprise, surprise. Here we go once again. Another fall - but this time of the totally gentle kind. But still. For the third day in a row I had to do down. Believe it or not. Like yesterday, it was at a hunt. I had placed myself comfortably on my 3-legged hunting chair and waited for the shooting to begin. The dogs sat in front of me, waiting. I looked around and enjoyed the surroundings, everything breathed peace and tranquility when suddenly the rear chair leg began sinking into the soft and wet grass. Not fast but unstoppable. And suddenly I lay there again on my back, and like a walrus I rolled back and forth and finally came around on my stomach. Only with great difficulty did I manage to haul myself up on two legs. Once again I reject to reproduce the comments that followed my 'show'. It is all getting a bit trivial. History repeats it self too often. Once again, I was the victim of a heavy fall. This time, however, I landed softly as the accident occurred on a soft, muddy field, carrying a bunch of pheasants. And Again bystanders had tohelp me up again. I was completely lost rolling around in the mud and could in no possible way had I come up againg on my own. I want to use the upportunity to thank those who came and lifted, and may I also use the occasion to pay tribute to seafarers because I was pretty wet. That the situation cost more pain to my already aching hand after the fall yesterday, goes without saying. I will not repeat any of the words that were said about my fall even if some of them vere quite funny. Ouch, it hurt. And oh dear, how I gave 4-5 elderly people a shock. I was forced into a new supermarket that opened today. 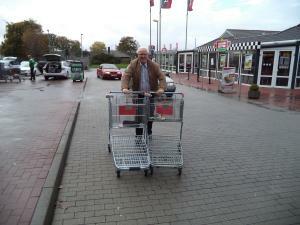 In my eyes it looked very much like any other supermarket so I asked for permission to go out into our car. Permission was granted. And then came the pain. I oversaw a curb, stepped on the edge of it and fell heavily down on my left hand and knee, continued in a form of a rolling fall over my left shoulder and on to my back. And there I lay much to the consternation of bystanding pensioners who in deep shock rushed up and asked me about pain and fractures. Lying on my back on the tiles, I mumbled that it just hurt like hell in my hand and knee but there were hardly any fractures. With many words of comfort I was helped up, an indispensable help. And all this because of a new supermarket. If you have not been there recently , do so soon. Visit "The Old Town" in Aarhus. We did it today with a couple of good friends. I can tell about many good experiences and conversations with both "residents" (people who had taken on the role of being from the past) and other guests. We talked among others with the manager of the radio and TV shop about TV etc. from 1974 and with the bakery lady who told us about contemporary bread. Everything mopst exciting. But most of all, a vicar's widow who lived in a house built by a wealthy man in Odense for her after her husband's death in 1844, and now she sat there alone impressed me, and we were now in 1864. She told lively, but quietly, about a poor widow's terms. 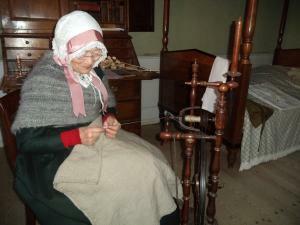 She could only stay alive because she was annually given some bags of wool that she spun and sold. The whole time she talked the "in the present" like she would have done had we visited her in 1864. Therefore, it was important to join in as were it 1864. Otherwise she would stop talking and became confused, especially when I mentioned poor relief as an option. She didn't even know the word at all. A sweet, elderly vicar's widow made ​​the visit a most exciting one. It's been a good day. Nobody has bothered med. So I am quite relaxed. I was allowed to work within my own capacity. Nobody rushed me. I sometimes had to stop and look around. Nobody said anything. Nobody had any remarks to what I did. The reason may be that it all took place in my own little den. 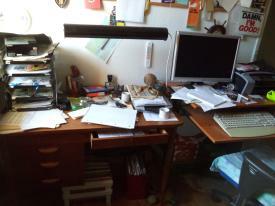 I am emptying the room, nearly everything goes out. In a very near future something radical will take place in the Little room. 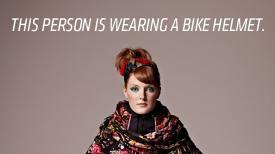 Many people find that bike helmets are pretty unsexy. I am one of them. Few bicycle helmets are decorating. I would preferably do without one, but with my 3-4 crashes in mind, I could not dream of it. Then appearances must come in the background, even if it obviously hurts a fashion dude like me. But now I do not have to think about that any more. Two Swedish girls have invented the INVISIBLE helmet. As evidence the two girls bring 2 pictures of people carrying invisible helmets. See above. An every doubt is eradicated. Now the well known problem is here again. 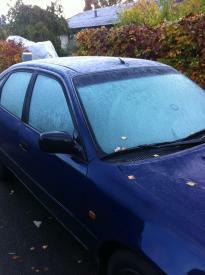 Frozen car windows observed in our village. What won't the situation be in a big city then? So now it's about having saved up enough money to have winter tires put on. Happily I've employed people for that. I do not like dirty fingers. My fear is of course that the kindly tire man - when I am going to change before very long - says the dreaded words, "These winter tires should not be on the road any longer." Then it will become very expensive. And if so I might sit down and cry. That'll teach him. 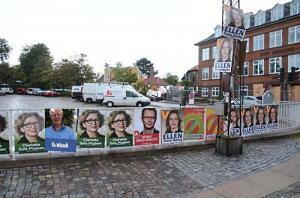 To be on the safe side all parties have had election posters print for me. They are ready when I make my final decision. I was asked to decide my own slogan on the posters, saying, "Give me 4 years, and I'll give a round of drinks". Today I am tired, too. But I do not tell the reason. On a later occasion, the secret will be revealed. What is it, matron has come up with?? Will she once again pull the last strength out of me? Will she once again be straining my bank account? It's a kind of a historical day today although be it with a tragical background. Today it is exactly 121 years since the last execution by axe was carried through. Deasth penalty was totally abandoned in 1930. However, by a special law, death penalty was reintroduced after 2nd World War and 78 people lost their lives convicted as traitors and collaborates. Last one in 1950. Now Danish law states that death penalty no more can be introduced - no matter what. That makes me sleep better. We were at a supermarket this morning. I trotted a bit around for myself when a middle aged gentleman came up to me and said, "I'm just going to buy a couple of very strong beers and a packet of fags - and then it's just fine". I smiled and nodded, and the gentleman disappeared towards the cash line. After some time I arrived there, too. Now he had started a loud speach at the end of the cash line, "Workers are going to rise once again. Now all supermarket cashiers and schoolteachers will have better conditions. I tell you. Workers will rise again. They will rise". There were smiles all around while we all decided that the gentleman was somewhat intoxicated, but he was otherwise quiet - and well dressed. He walked off with his beers and fags. Today, the sun rises at. 7:26 and sets at. 16:24. Length of the day is now 8 hours 58 minutes. The day has decreased by 8 hours 34 minutes. Out of this I can figure that the day at some time in June was 17 hours and 32 minutes long. A wonderful time. But this is now shorter day does not prevent me from appreciating the days, as they currently are. 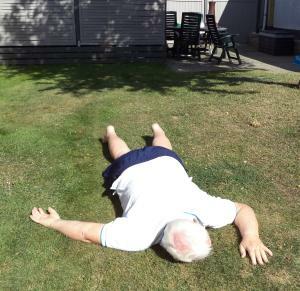 In well over 8 hours, we can enjoy the sun, and we have to acknowledge that the sun has not been stingy this year, which weather wise is one of the best years the old man can remember. And the sun has shone even today, despite the fact that meteorologists have predicted otherwise. They've had a bad day - again, again. 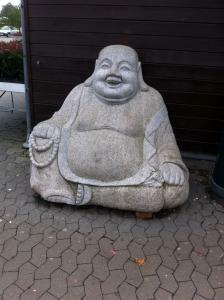 Eventually I found my equal in weight and fullness, the good Budai. He should not be mistaken for the perhaps more famous Buddha, who is Indian and a meager man. The one that's my equal, the stout one, is Chinese and as mentioned called Budai. Just like me known as "the learned" or "the smiling and happy monk". He was - also like me - poor and heavily built, but happy. Similarity grows. And even more with this. He was considered a man of good and loving character. He walked around with a cloth sack in which he had his few belongings and some candy that he gave to poor children. The bag could not empty, it was automatically filled up all the time. Here the similarity weakens if you look at the bag as my savings accounts. I met him by chance at a garden center in this area. As far as I understood it, he was for sale. Well. How many crosses with Christ have not been sold over the years? Eventually came the day when our now completeed utility room was inaugurated in the presence of contractors, suppliers, logistics people, and builders. In a long and very entertaining speach the representative of the builders, yours sincerely, in particular highlighted the contractor's big efforts after which the latter cut the red tape and declared the utility room officially opened. The applause would not die down. Immediately after the room was inspected, and everybody expressed great satisfaction with the project's beautiful completion . The event and was concluded with a nice lunch. Today I rejoice our meteorologist's inability to predict the weather. All week - and as recently as yesterday - the prospect was that it would rain most of the day today. Wonderfully mild, windless and not just as much as one drop of water. I wonder how they think things are going over there at the weathermen's office. I have walked 8 kilometers in rough terrain and twice I sank in up to the edge of my wellies. . Always an exciting experience. Luckily I managed it without getting wet feet. The past month has been truly exciting - and expensive. 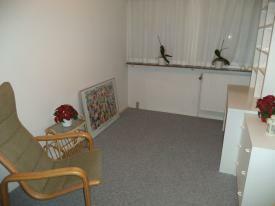 2) Completely renovated utility room with new floor, furniture, etc. Now the little home should be able to exist for some time without the old man and his sweet wife have to spend more Money on it. Don't mention all this to my bank. It's Christmas very soon. 55 days to go. Not very long. At least that's what nearly all shops think. 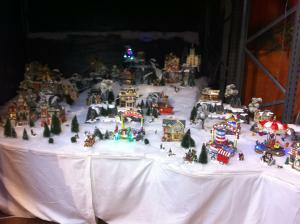 Christmas decorations of all sort and Santas in all sizes and types + a lot more are displayed - much to my annoyance. I know that some of it is quite discrete, but just look at what we saw today in a garden centre not far away. It's much too much - and some shops and stores started middle October. I may end up hating Christmas. Matron is very careful about cleaning. Her healthy motto is that things last longer when they are kept clean. Therefore, it was important for her to clean the oven last week. a sort of spray meant to loosen. soot and other goodies was brought in and the oven was sprayed to her heart's content and then scrubbed and dried. Cleanliness is and remains a good thing, absolutely commendable. But then came the disappointment. Suddenly, every time the stove was switched on, the main fuse stopped all electrical activities. An electrician was called in. The problem apparently solved - but no. The error reappeared. Result: This morning we bought a new oven. And that was that storm. My goodness - Danish record in wind speed. If Danish TV had been just a bit forward-thinking and flexible, they wold have shown "Gone with the Wind" tonight throughout its strenuous and extended length. However nobody thought of that either. Nor has the radio department been thinking. If so they would most of the day have played Bob Dylan's "The Answer in blowing in the Wind" or Elton John's "Candle in the Wind" and Cornelius Wresviejk with "Who can sail without a wind". But absolutely no one in the DR thought of it. How awfully dull they are. Now my election posters are ready and put up at key points ready for the approaching local elections. Note 3rd poster from the left in the photo. I intend being elected for the "Redundancy Party" which aims only to make redundant proposals. No legislative proposal is so important that it can not be dispensed with. There will be many items that we will not waste even a second on, e.g. budgets. Furthermore: Miscarriage of Justice should be avoided if possible. And Voters who do not care to vote should be able to vote from home. I am convinced this programme will secure me a seat. Today is one of those Sundays when one appreciates having a house with four walls and a roof. It is raining and blowing out there, clouds are hanging heavily above and everything is set for a cozy "day inside" when even a football match between two inferiour teams feels good entertainment. Requirements are not high. However, I allowed myself trying to increase them a bit by mentioning to Matron the that a good cake for our afternoon tea would not go amiss. She regretted not being able to fulfill my desire, so I went back to the nodding while watching the football game. And then suddenly the sun shone through the dark clouds - literally, too, and the sweet lady told that she in fact did have a frozen cake in the deep freezer. It was found, thawed (almost) up and right now I am eating it. It is very delicious - and big, and all my requirements for the Sunday are met. It will be short today. Fatigue has overpowered me. I am only able to do this one thing - sit down, alternatively lie down. The reason is, of course, that today's hunt has squeezed all my strength out of me. But what a glorious way to become tired. The first hunt 2013 is over. And my hunt for 35 years without hunting horn is over. It was a strange experience. Thank you very much for today and I'll promise you to be a little more on my toes tomorrow. I'm excited about tomorrow . The first hunt this year. The dogs are ready , I'm ready, have taken all the equipment out and I now only have to pass the time till it all starts at 9 in the morning. It will for me be a strange experience. For the first time since 1976 I will not blow the hunting horn on a hunt. I have "terminated" the job because I must train too much to keep up the standard. I wonder how it will feel when suddenly another one is standing on my place with the horn. 37 years after all are a bit. The advantage will be that I can relax a bit more. 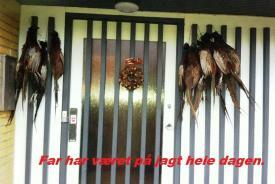 That hunting is dangerous is proven by an incident in Norway yesterday. 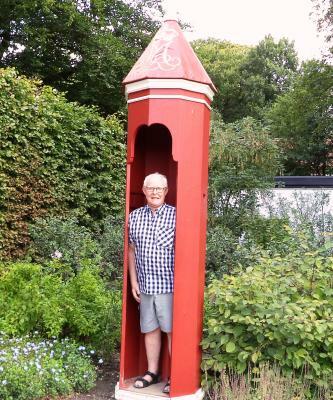 A 70- year-old man who lives out in the wild sat on his privy. Suddenly a shot banged, and the elderly man was hit in his stomach. Luckily it was a harmless wound. A moose hunter had fired the shot in the hope of a large animal. But how he could hit the shed is being examined by police. 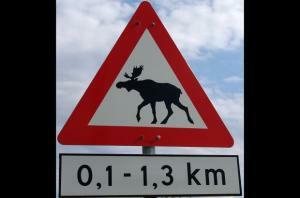 It is also is not quite clear if the moose was hit . Moral: Do not go on toilet in the moose shooting season. Throughout my long "dog life" I have often had to consult a vet, usually fortunately with trivial matters. But no matter what it has always seemed to be very expensive. Therefore, I decided the other day when I realized that Sydney - my dog - needed to have his nails cut, that I would write to various vets and obtain quotes on it. This proved to be a good idea. 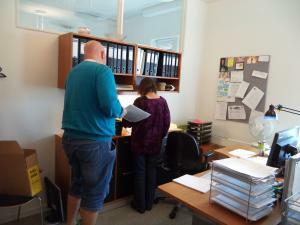 I contacted 3 vets and the first two quotes owere around DKK 250 for a job that takes 2 minutes. Moreover DKK 700 on top if anesthesia should be necessary. Without hesitationI chose the "50 kr-offer" and experienced today an exquisite service (without anesthesia) and was out after 2 minutes. Not at all inconceivable that this vet will be my future vet. Let a proud father tell that his eldest son today was at his penultimate exam in his teacher study. It was his main subject exam You have to show both theoretically and practically, that you can plan an outdoor activity for children and youth. And I must say that he could, the "young" man. He scored a really nice mark, highest but one and can now relax a bit before the last hurdle, his bachelor exam some time in January. If you ask me what I think about today's performance, I must use the word SUBLIME. 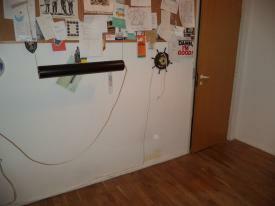 Today, there nothing new has been installed or made in our house, no new installations, furniture or the likes. The main reason for this stalemate being that we have not been home all day. In my conceptual world we need nothing new. Now we have everything your heart could desire. Well, that is sort of. Matron is of a different opinion. There are just a few rooms in need of floor varnish and fresh paint. And there is a guest toilet, that has lost some wall tiles, which should be replaced, and there are some skirting boards, that should be changed - in a few rooms. A single lamp should be changed, like a pair of handles. A door or two would like to be painted. A cistern, 44 years old, should retire etc etc. Something tells me that we just have a break for the time being - maybe even a short one. If someone only a short time ago would have argued that I - the most clumsy person within the family - could find out out how to remove a coker hood I would have laughed out loud. Such technical jobs tend to end in a mess for me why I give up on beforehand. But a new one had to be put up, as the old one after 25 years of faithful service had ceased to breathe at all. So down it had to come, and in order to save time for the friendly man who would put the new up I boldly started on my task. It went beyond all expectations. Only one hour it took before the very greasy and deceased hood could be carried to its penultimate resting place of our waste shed. A fine, new hood now sits in its place and breathes deeply and thoroughly. Isn't it just wonderful? It is October 20th, the time is just around 6 p.m., the sun has set and still we have 13 degrees outside. It's almost summer - after an absolutely wonderful one from July to September. It is appreciated by many, not least by me. My appreciation will not be diminished if the weather is just as good next Saturday, the day of my first hunt, and a high, blue, sunny sky will be much appreciated. Good weather makes the hunt better - and the dogs and I happier. So our meteorologists must continue getting their act together. I've got an English friend - a lot younger than I. But then again who isn't? Well, this friend is very keen on football and a great fan of a small football club, "AFC Wimledon"., 2nd division. I find it very nice that he doesn's fall for the temptation of supporting one of the big teams like Arsenal, Tottenham or Chelsea. Very commendable. However his team is not doing all that well. This gives him a difficult time like it does to all true fans. However the poor chap has got another club to support, a Danish club, once "my" club, AGF (Aarhus). One might hope that this club would give him something to rejoyce over, some good games and points galore. But no. They're hopeless. Wonder how he manages to support two loosing teams with an enthusiasm like his. I couldn't. Not even one. As previously told, I have removed a flower bed with plants, soil and tiles. 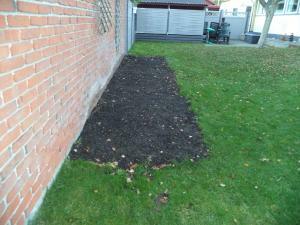 Next, I prepared the bed for grass and waited only to spread grass seed over ithe whole area. 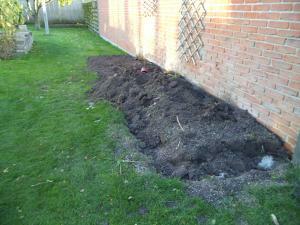 Luckily have a very nice son-in-law, it was only a matter of time before he arrived with the seeds and spread them out. Just the other day. It is a commendable act which I appreciate very much. But. I am sorry to have to send a complaint. Four days have passed and not a straw is to be seen. Should I ask him to come back and do it again? Or should I quietly sneak up in the DIY and buy new seeds and spread them out myself? Or what should I do? Flensburg, Germany was today attacked by Danish hordes, mainly with heavy armor, who set in at sites of significant strategic importance, such as supermarket "Fleggaard". The local German population stayed away frightened to death. Not just one German speaking person was observed in the area so it was easy to remove the enemy's equipment. As shown in the first image some of the invaders brought 2 armored cars, and in high spirits both were filled to the brim. Photo 2 shows the collected booty which was transported back to the motherland to be consumed at appropriate time. A renewed attack can be envisaged before Christmas peace descends upon the World. As a member of the "Association for raspberry cakes's well" I have noted that "The Warm baker" in Risskov has won the title "Aarhus best raspberry cake" an honorable price that appears on a poster outside. "The sun shines when eating a raspberry cake", it is said. And how true, how true. I therefore paid a visit to the bakery mentioned and looked at the winners. See pictures. 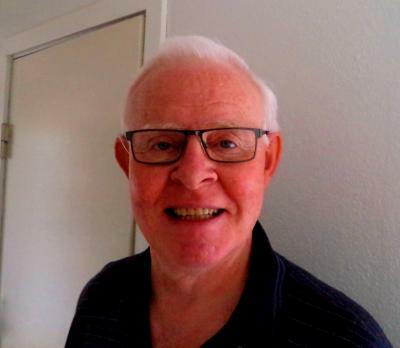 I know that another member of the association, my old soldier friend, Mr. Kruse of Løgstør will immediately fall upon the winner and strongly object that there are no granules on. I did turn the sweet lady baker's attention to my friend's anticipated objection to which she said, "It is so good in taste that granules are quite unnecessary." The truth of this will be revealed tonight at teatime. I have cleaned the wheels on our car today. They were messy from general traffic dust and -dirt, but worse of leftovers from a miserable undercoating some time ago. The latter was almost impossible to get off. I tried using pressure water, detergents of various arts, parva remover, and scrubbing and rubbing. It went very slowly, until I found out to scrape the dirt off with a small plastic spoon, very - small areas at the time. It was exhausting and there was much to remove, and my old back protested to the last. Real "Rim cleaner" would have been good. But mind you. The rims were fairly clean, though not perfect. 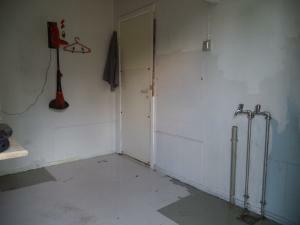 Then cleanup and return of the means employed to their places in the utility room. And what happens? The moment I step into the room, Matron produces a spray bottle with RIM CLEANER from a box. It could have saved me 2 hours of hard work at ground level. I took it nicely, I thought. I feel better following Matron in supermarkets. Today, when we were on a raid through one of them I got a little poorly and went out into the car. Normally, it's a boring place to be, why I have always chosen to walk along with my sweet wife and be bored, not by her but by the supermarket. So it has been a choice between plague and cholera. But today. Heureka. Arriving in the car I grabbed my new iPhone to check my mail etc., and it struck me that I often in the evening play "WordFeud" and "Quiz Battle" with some nice people, so why not just take a few rounds? No sooner said than done, and time just slipped away. I was almost sad when the good matron much later showed up with a load of shopping items. On a "half lazy" Sunday like today with only few jobs on Matron's job list it is a great pleasure to be visited by daughter and son-in-law. They only came to deliver a few things but fortunately had time to stay for some hours or so for a modest lunch and a chat about big and small - inckuding biking. My son-in-law is a most keen bike rider and knows a lot about maintenance and about repairs. Today it was about tyres and hoses. And with the number of puncturres I have had lately it was very useful. Visits by family and friends are high on my wishing list - also without talking about bikes and bike rides. It is the day after. It is a mourning day. 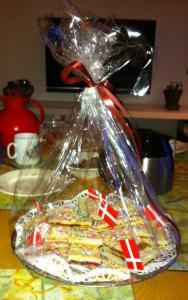 Much against my expectations the underdog, the Danish national football team, resisted the favorites from Italy. Up to 2 minutes into the 3 minute overtime we were 2-1 when an irritating Italian scooped the ball over the line for 2-2 and thus completely took away our chances of participation in the World Cup. 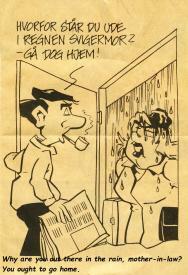 People swor and wept in many Danish homes. I who do not think a lot of our football team was probably the one who cursed the most and had ugly thoughts about Italy and Italians in general. It was not nice of me, and I am very sorry. It was rude and inappropriate, downright naughty . But for me it's over with spaghetti and all kinds of Italian food. I shall never buy a Fiat or a Ferrari. I will not go into language courses like "Italian for Beginners" and down with Berlusconi and Mussolini. I wish Venetian canals may dry out and Rome's 7 hills be reduced to 6. 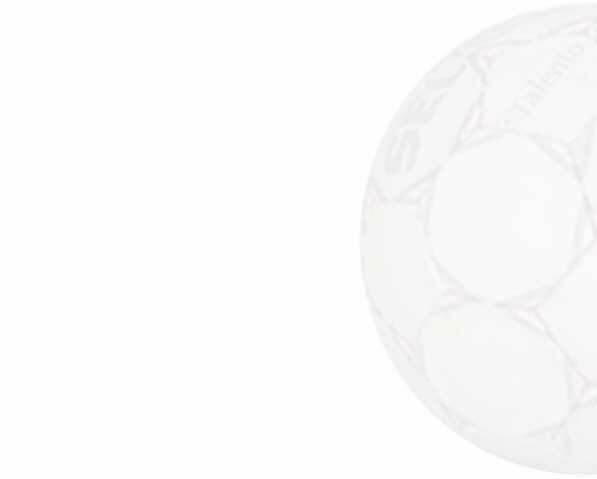 Unfortunately I was a bit wrong last Monday when unfortunately I happened to write that Denmark the following day were going to play Italy in a qualifier. Sorry. I must learn to follow the news somewhat better. They are playing tonight. This, however, does not change my point that we are going to get a real thrashing, well at least a defeat. Unfortunately we've got a bad team with players from abroad who spend most of their games sitting on the reserve bench. The rest are from the Danish League and do not have international standards. So all in all I shall quietly and without any hopes watch the game while doing my facebook and other important matters. It's becoming a habit - a really bad one, a whim. In 3 out my latest 4 bike rides I have been the victim of a puncture. It looks like a conspiracy initiated by the "United Hose Manufacturers". Today the incident happened at the busiest part of the inner Ringroad in Aarhus. Many pedestrians stopped and looked pityingly at me while I was working. Motorists whizzed past, but looked interestedly at what happened. So did the cyclists. One can safely say that it attracted general attention that there in the very busy road sat an old man on a stone setting and changed hose. I took great pains in looking really professional as I with a calm and safe movements completed the work. 20 minutes it took this time. New record. Thus fueled by my good skills as a bicycle mechanic I continued my good and long ride. 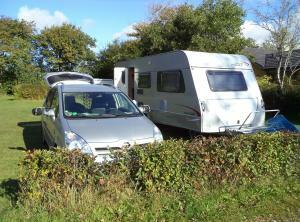 The last 4 days have been spent in Oksboel in South Jutland - at the local campsite. Came home today. Matron and I were so Lucky as a gold wedding gift from children, law and grandchildren to get a voucher for a stay there. If we enjoyed it? Yes, very much so. Just we two old people for ourselves. Lovely place, close to the North Sea. Great. Got up late, went out and "saw things" came back for late afternoon tea, ending with a good dinner in the evening followed by sweets and casual TV-watching - and to bed early. I am not totally deaf to hints about going on a diet, not at all. And I have for a long time thought about it incited by family members who only wish me well. But it is horrendously difficult when you are so fond of eating as I am. So I am going to postpone it just a little. The impact of an intensive diet may be catastrophic. Just look at the poor man I saw at the pharmacy today. He did not look healthy and fit from his weight loosing attempt at all. He was not even skin and bones - only bones. Will we lose by 2 or 3 goals? Will chief coach Olsen as usual play injured players? Will he also play players who within the last year have played just one game for their club? Will the Italians in general be able to take the game seriously? My answers to the four questions are YES, YES, NO and NO. 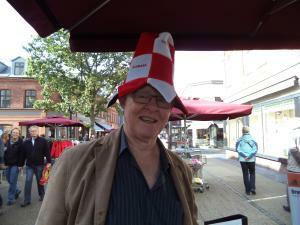 But of course I do not want to ruin the great expectations that so many fools have about the result why I let myself being photographed with a football hat from the good old Sepp Piontek-days and thereby attracting much attention in the busy pedestrian street. I was met with comments like "You big fool", "Put on an Italian one" and "Are you joking?" So not everybody has been fooled by ignorant optimists. It is hardly unknown that Pepsi Max is my favorite drink among sodas. I do now and then get some funny comments on it. Everything from "How dare you?" to "Grow up, man." But it makes no impression. Pepsi Max is a must for all meals, it is a god's drink equal to nectar. And I import it myself from our large southern neighbor. A day without Pepsi Max is a 0-day. Today was a + day . Pepsi Max and soft ice cream it was. Sorry, doctor. It will not happen again - straight awayat least. Here speaks a yet to be trained bicycle mechanic, but one who would like to learn. On a bike ride around Aarhus I had a puncture on my BACK WHEEL. That I have never tried before - changing the hose on that wheel myself. Fortunately, there were two benches, right where I needed them so I could lift the bike up and unscrew the wheel at a comfortable height. I dread the day when I shall stand hunched over doing it. And afterwards I could sit comfortably and work while I nodded and smiled at the many passers-by on the path. Half an hour it took before I could continue my very dangerous ride. I had in fact forgotten my helmet why the total of 46 kilometers were completed without thus being a bad example for the children who managed to see me speeding by. The conclusion is that I actually am able to change the hose on a rear wheel, provided I have got time enough for it. Never before have I taken so much waste to the dumps in one time - and without a trailer - as today. The car was full up right to the roof. The main reason for the large quantities is of course the renovation of our utility room, obviously residues from the rebuilding + a lot of old stuff has been thrown out. Nice to get rid of it all. Next, it was almost a pleasure to move another couple of wheelbarrows full of soil from the abandoned bed to my potato field. Finally, it was a very great pleasure to clean my bike from A to Z. Everything - from bell to chain - were cleaned and lubricated so that the very nice bike now stands shining out in the workshop. I can hardly wait for my next spin which will be tomorrow - if the weather gods are with me. However, they will be. They dare not do otherwise. PS: I wish I bothered to look after my car just as well as I take care of my bike. In continuation of yesterday's ordeal with half a ton of tiles and my loudly shouting back I would like today to explain where the tiles came from. In a now 5 years old bed just across from our living room window the heavy devils made the edge. 5 years is a long life in our garden, so now the good Matron decided it had to go. However, I did not quite disagree, why with some good feeling I threw myself into the job. The picture shows the state of things today. The soil will be moved and represent the topsoil, that next year will carry our potato crop. The potato field is seen in the distance. The soil there is in need of replacement, as this year's poor harvest confirms. 2 wheelbarrows full have already been removed. Tomorrow the rest will disappear - I think, perhaps, or maybe it does not. They have promised rain. If you want to know how to dig up and move about half a ton of cement tiles, just ask me. I did it today. But do not ask me to do it again wherever it may be. My old back would protest loudly and it still does after the day's exertions. Digging out tiles , lifting them up onto the wheelbarrow, driving them, loading off the tiles in a neat pile, back and doing it all over again. How many times I was up and down I have no idea . 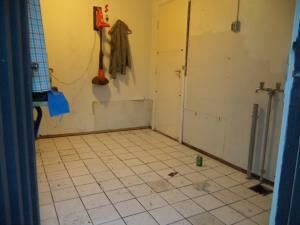 But the tiles are moved, and my back has announced that in the case of further damage it also wants to move. And that's bad. GP visits are part of one's life when you grow old. Today I saw my doctor for a 10.000 kilometer inspection. The good Medikus declared his satisfaction with my condition, both kidney function results, blood sugar, albumen, etc. However, he paused slightly when we came to cholesterol which he implied was a bit too high, not requiring treatment, though. Imagine, he suggested that maybe I should change my eating habits. I did not understand that. I have an absolutely excellent appetite and eat as much as time allows, and my almost every other day-bike rides cut from 2500 to 4500 calories of me. Well, something must be done. I shall sleep so there is not so much time for eating. I am delighted every time I'm with family and friends be it large or small gatherings. 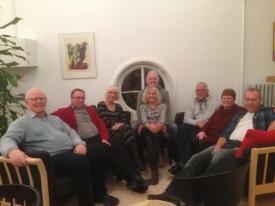 In the afternoon it was a cup of tea/coffee with really old friends in Æbeltoft. Of course I cycled there, started at the same time as Matron who went by car and we arrived at the same time as she made ​​a detour around some shops in town. 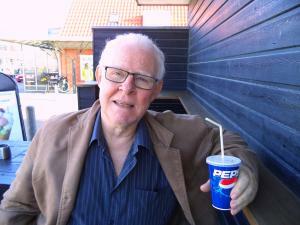 Thus, we both had a good afternoon - and some pleasant hours over coffee and tea, not to mention nice, cool Pepsi Max, just the right vintage and temperature. It's good to have family and friends. I would be a scoundrel if I could not rejoice over today. Family brunch at a nice restaurant at the river bank in Silkeborg. The food was good - the company even better. 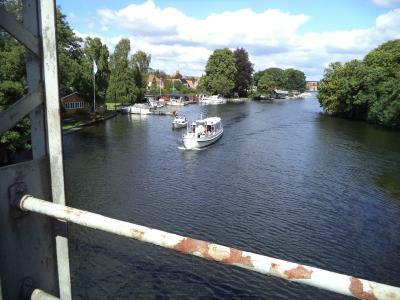 The surroundings right on the Gudenå River can probably not be desired any prettier. So everything was in place for a couple of good hours together. Did I enjoy it? Yep. Did I enjoy being with the nice people? Yep. Do I want to do it again? Yep. One can not wish for a better day. I had heavenly legs today. Legs of steel. Fit as a world champion. It's going my way. In other words. My bike form is there. 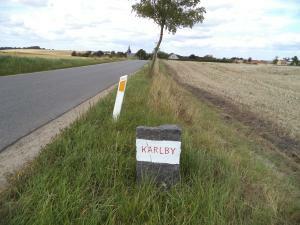 Approximately 55 kilometers, around the Brabrand Lake, through Aarhus and Viby it went. In formidable speed. And for what should I use this very good form? I'll tell you. I shall use it tomorrow when the World Cup races take place in Tuscany, Italy. It is important to be right at the top if one wants to follow the whole transmission. 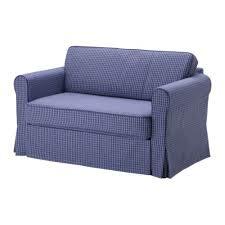 I expect a good ranking here in my molded sofa. My goodness. I was right in the fireline when Matron returned at 10.03 a.m. from an early visit in town. And there I was, in bed, with a game of WordFeud. I had to recieve several verbal punches, one after the other. Honestly. It is blameful that a strong and alert man lies there doing nothing till late in the morning. Shame on him,says Matron. Firthermore she is no known for her patience. An order should be carried out immediately whereas I may be a bit more laid back. Well the two shelves I was supposed to put up were put up. I deeply regret I could not update yesterday because of technical problems with my web host. Therefore, today's story will be a little longer, covering 2 days. Yesterday our nice tile man finished our utility room. We are overjoyed about it. It has never been nicer than now. It is a pleasure being in it. I have considered moving my bed out there. Soon a ceremony will be held to mark the inauguration. Present will be the contractor, supplier and builder. Unfortunately, Her Majesty is occupied at an initiation of a public toilet in the Faroe Islands. Therefore I have to give the speech myself. It will be long and moving. It will be a great day. Today I cycled along with son Peter. It was a really good workout in the 'mountains' around Hammel. Not long, 32 kilometers but hilly. I enjoyed every second of it, although it was quite painful sometimes. I loooove cycling, especially with family. I'm proud of my wife, my children, children-in-law and grandchildren - very proud. On a long and grueling mountain stage on Djursland I punctured just 6 kilometers before the finish. Automatically I grabbed my phone to call Matron who has picked me up a few times before on similar occasions. But then it hit me that I should be able to change the tube myself. No sooner thought than done. So out there at the side of the busy road, I started, and after half an hour I was on my bike again. It is a long time - I know - but the technique has not yet been rehearsed. Have only seen it donea few times. But I did it - that's the important thing. I will brag of it over several days. Do you get a stomach ache from eating many plums? Yes. 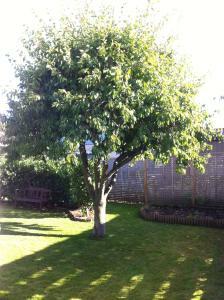 Do we have in our garden a well-filled plum tree? Yes. Will also I get a stomach ache during the evening? Yes. This year's plum harvest turns out to be miles above the potato harvest. Our lovely plum tree this year is better than ever. Large, dark, sweet plums hanging in bunches. We have already made a significant encroachment on them and my abdomen has been very tight several times. Nice. 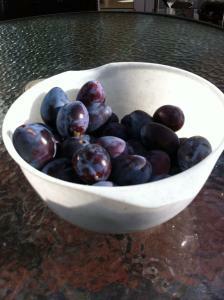 A few days ago Matron incidentally heard on the radio that plums are the healthiest fruits you can eat. They have a low energy content and contain A and vitamin C.
So luckily there's no excuse not eating today's lovely bowl of health. Twice this week my two favorite children blessed their old father with the WELL known morning awakenings they call "Playing with Dad." Last time it was the son, Today daughter. As usual the act consisted of shakings, shouting, rolls, twitching and pulling my limbs, pressing legs to forehead etc. etc. I old man just have to take it as it comes, I'm powerless and cannot do anything but cry out for mercy. Not that it works, but my cry of fear can not be held back. Matron happily participates in the fun. Three against one. It is difficult. The only good thing about the experience is that there are now only 2 clips back on the voucher I got for my birthday. Then it's over. Looking forward to it. See Picture. When I got up this morning I immediately decided that I was going to mow the lawn. When Matron got up this moorning she immediately decided that I was going to trim the hedge. I now have trimmed hedges and mowed the lawn. Tomorrow I shall be very careful in deciding anything, just as I get up. Trivial habits are preposterous. They give me a rash. 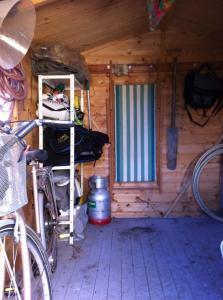 I cleaned up my tool shed today. A really thorough round. Much was thrown out, a shelf changed and the floor was swept. Good but hard work. Now, such a cleanup should not become a habit. I did the exact same in 2007 and the fear that it will be exactly a trivial habit with the cleanup. I will try to avoid it by promising myself that it must be at least 7 years, I am repeating the success. By the way I found a set never used snow chains that I can not use. 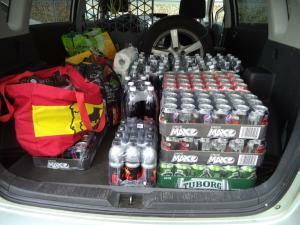 They may be picked up for no charge..
PS: After the hard work I cycled 41 kilometers. So I feel good now. If anyone today might decide to call me a lazy dog I would admit that it is correct. I have produced so little energy today that you could not even light a match with it. The last three days have been utility-conversion work, major efforts. Today is rest day, as they occur in every major bike race. Therefore I just tidied up a bit and ate cream cake. The latter was more fun than the former. God give that tomorrow will be "bicycle-weather" so I can spread the calories of the delicious cake around in streets and roads. Should one or two among my nice readers be dealing with with plans of retirement, I would absolutely say, "Don't!" A pensioner's job requires excessive endurance physically as well as mentally. Only rarely will be a free moment, and the workday can be miles long. Nothing with 8 hours and then off. No, it can easily drag on both to 8 and 9 in the evening. Everyone says that a pensioner has plenty of time to concentrate solely on himself. I say that a pensioner has too few spare moments to internal reflections and relaxation and often do not even have time for meals. Here, I think the goverment hold do more. Another day in the utility room. The nice tile man finished grouting. One must say he is a diligent man, hard to stop. The utility room now looks like a million, but just wait till washer and dryer take their places in a proper and new "cabinet" on a high pedestal so that matron can spare her bad back against the too many bends when the machines are on the floor . 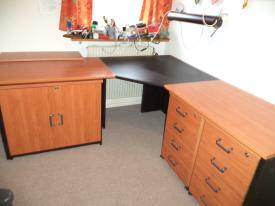 Now the only things needed are building "the cabinet", fixing skirting boards and wallpaint. At the earliest opportunity a ceremony will be organized at the inauguration. At that occasion intoxicating drinks and canapés will be served. Unfortunately Her Majesty can not make it and hold the inauguration speech. That's why I myself have to take over and thank the nice tile man and the developer (myself). It will be at once solemn and festive - and a very long speech. Oh, woe, woe, woe. It hurts. "Where?" I hear you say. Easy to explain: All over. Cause: The warning about coming pain was issued last Friday, when I told about the efforts to empty our utility room because a nice tile man today would come and lay the tiles in the floor. Admittedly I did not the hard work crawling around on the floor. But it was my job to remove the skirting boards, break down panels fetch the (heavy) tiles, cut them to size, and at the end of the day clean up waste, tools, and machines. I am now walking with a 90 degree angle at my hip and cannot look ahead, just down. At the same time I am moaning painful sounds and has both arms together on my back. There will be no pictures. Tomorrow it's caulking, the day after tomorrow painting, and the day after tomorrow all machines will be put back to their rightful places, with a few changes. Oh dear. Here they come a, my pains. Ouch, ouch, ouch. Here we go again. Dreadful pain. Ouch, Ouch, Ouch. Get me my painkillers. See you again - perhaps. Last stage of Vuelta Espana is on rigtht now. And I'm sitting here in my favourite position watching it. Last stage is never an interesting one. Only the last 30 kilometers or so do the riders show some fighting spirit. Nevertheless I want to watch it. I enjoy bike racing so much that nearly anything will do. Cricket has become my second most interesting sport on TV. Never thought that would be the case. But fortunately they are never on simultaneously. I know very well that this may be just on the border of what I would normally deal with in my diary. But the temptation is too great. Ugly and beautiful can always be discussed. But I think everyone can agree that the depicted animal, the blobfish or Psychrolutes Macrius, the slightly more pompous name in Latin, is not the most beautiful creture you can think of. It has just been voted the world's ugliest animal by a vote with several thousand participants. 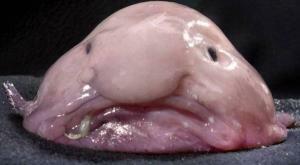 The blobfish got over 10,000 votes and was a clear number one. No wonder, even if exactly this particular one won a recently held beauty contest among blopfish. Once again, matron has given birth - to one of her many ideas. They mostly lead to big physical activities - this time, too. 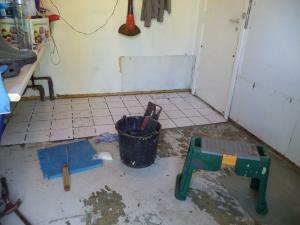 Tiles are to be laid in the utility room, white with light gray grouting. A utility room has the particularity that in it you'll find freezer, washing machine, dryer, and cupboard. All heavy things - and they were to be lifted out today, so that the nice tile man can start on Monday. Fortunately son and daughter-in law (+ Frederik) came and lifted the heavy stuff. Later our daughter arrived bringing the damn heavy tiles. Through joint efforts we managed to have it all ready for Monday, and just have a look at the empty room. My modest effort was to remove all the less heavy stuff and screw a shelf down. But I've also mowed the lawn. The sum of these efforts has meant that the old back is moaning quite loudly. Hope it shuts up during the night. On my new iPhone, I can play a game called "Wordfeud", something with putting letters together to form words, like scrabble. You play in competiton with others. 10-12 of my friends and family have asked me to play against them. I clearly understand why. They beat me thoroughly each time me. They run right over me. And they are surely clapping their hands and laughing their heads off. I get so heavy beatings that Denmark's defeat in icehockey of 49-0 against Canada in 1949 was a close game. There must be someone who are easier to play "Wordfeud" against, some dyslexics or totally blind people. I wish they would invite me as an opponent. Meanwhile others could please give me some advice. Why is it that my opponents are doing a word of three letters and score 48 points, while I for a word of 6 letters score 9 points? What can I do? And I who do the country's most difficult crossword puzzles in no time - I grieve shamefully. Once a parent - always a parent. Today eldest son delivered the first of three crucial exam papers at his training college. I joined in to make sure that everything went as it should. The paper will be defended at a later date. For him, it was a great day - and for his father almost greater. It is not every day that a parent follows his son to school at Peter Sabroe's learned college. But it so happened today. I was lucky enough to meet my son's Student Guidance Counsellor, a nice and forthcoming lady. To her I had the opportunity of complaining about the small number of parents meetings held at the college. She in principle agreed and promised to submit it to the board shortly. It has been rest day in the Vuelta. Consequence: No cycling on the screen. What does the old man then do? He turns on his TV and plays the latest 2 days' stages which he had not seen - and which he had carefully recorded. Thus cycling was on the screen on the Sabbath, anyway. And Thus the old man still had a good day. I have been iat Hanstholm today together with Matron and good friends. 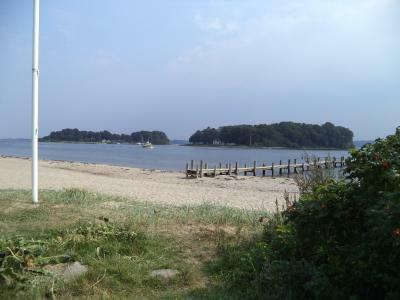 Hanstholm is an exciting west coast town, the harbor, the view and the famous bunker museum. It was, however, none of the three that impressed me. It was a small, inconspicuous restaurant well hidden away between tall industrial buildings, net makers, etc. The name is "The old smokehouse" in particular known for the size of especially its "Shooting Star", plaice with various accessories. By one of our good friends, we were strongly recommended to buy the smallest of them, which we did. And I must tell that it was still very large, even too big for me. However I dutifully ate up. Good thing we did not buy the big one. Did it taste well? It certainly did. Very well. 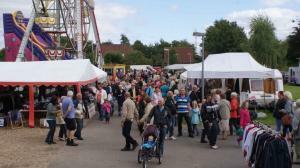 Along with part of the family I was yesterday at the traditional "Hammel Horse Market", a 40 year old recurring event. I hardly exaggerate when I estimate that there were 10,000 people (maybe more) at the very large and a bit confusing area, but there were only 15 horses. The rest were booths and entertainment. What started it all, is now limited to the most distant corner. It was almost a horse market without a horse. But it was great fun and very nice to walk around, even though items were the usual at such markets, very varied. Not even Matron was tempted to buy anything. By harm one may become wise but rarely rich - on the contrary, one can become poorer. 3 times within 3 years, I was spotted on a stupid camera. DKK 2,500 it cost me. It's quite a lot of money which I much rather had seen spent by matron and I for bells and whistles, a little holiday in the caravan, a good dinner for two, a little texstile for mylady. Possibilities are innumerous. But that was not to be. However, it will be so in the future. I now comply with all speed limits in the most accurate way - to great annoyance to many other road users. But I don't care the slightest. I would like to enjoy a bit of bells and whistles. This morning I saw a sight that pleased me. Fortunately, there are many people who exercise by running. Most of them do not seem to need it, though. They are skinny crochet hooks who run briskly and smartly, and who might have only 50-55 kilos to move around. My good experience this morning was that I saw a slightly young girl, 25-30 years, come running. And there was no crochet hook about her. She was very big - all over. But she ran. She ran wearing a nice jogging set, somewhat troubled and clumsy. But she did something. She ran. Without doubt in the hope of of losing her excess weight. Great. Somebody might have looked a little condescending at the big girl, but I thought it was so beautiful. She has given a damn on what others think, of what to wear and what you may do. Well done, young lady. Please keep it up. The 5th of September will always be a memorable day for me. Today it is exactly 8 years since I smoked my last cigarette. More precisely, the 5th of September 2005 at 13.42. Am I glad that I stopped? YES. Have I saved money? NO. Is the family been glad that I stopped? YES. Would I do the same thing Again under the same circumstances? YES. Do I miss a smoke now and then ? YES. Have I lost weight? NO. Do I have regrets? NO. Will I begin again? NO. After 3 years of not having put my legs at Aarhus Stadium I might want going there again. The only reason for this Desire being that AGF has won some games in succession and is now No. 2 in the league. Apparently an accomplished team. I am a genuin "good time supporter". I do not want to spend time and money on defeats. Thus I am in contrast to "real" fans who support and hangs on regardless of results. It would be nice if things could be like in the "good old days" when AGF won most of their games. It is still gambling to go out there. The possibility of defeat feels bigger than of a victory. And I hate to lose. Should or shouldn't I go and watch a game? An existential question. Life is full of difficult decissions. Some of you may know that I have a past of angling. In particular, I was happy walking along a quiet river trying to catch a trout. Fortunately, I managed at regular intervals. Unfortunately I never learned to fly fish, but then I had great success trolling at Aarhus Bay. I managed to catch several large sea trouts. Fortunately, I taught our son to fish when he was very Young. He is very keen and has great pleasure of doing it - and he's good. I taught him the very first things about angling on the pier in the port of Aarhus. I also learned to fish by my father. 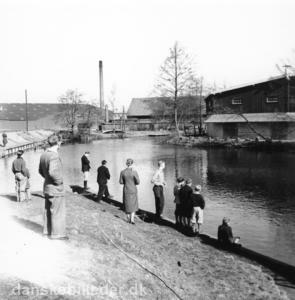 It took place at the harbour in Silkeborg, a small piece of Gudenå River behind the famous lock. I was immediately very happy about it. The photo shows the place where I first threw a line out. I came subsequently hundreds of times. The picture is from 1955. I started out in 1950. For me it is a glorious reunion with the place. Teach your child how to fish. Note (un)patiently waiting mom and dad. iPhone technology concerns me greatly. I must learn how to use it. I try with self-learning, and get a little success, but too little. Today, however, gave a huge leap forward. We are lucky that a couple of our friends are proficient in the use of "the machine" and they were kind enough to share their knowledge. After a small lunch the learning started. I learned what "apps" are, and I have been taught to download a number of them. I have learned about "face time", to search for the phone if it's stolen, and best of all: I can find Matron, wherever she is - as long as her phone is turned on. I shall use this frequently. I ought to tell that she in the same way can see where I am. I spy with my Little eye. In any event, it was very helpful that our two friends were here. They showed great patience which was necessary. As previously told Matron and I a few days ago got an iPhone. Modern times. At this time I ought to be able to use it and go on Skype, go online, write e-mails and text messages, take photos, pdownload them into the computer, get new apps, play wordfeud and other games, update my diary and facebook, use GPS and Endomondo, keep calendar and do phone calls. But it's been a bit slow. I have over 3 days with difficulty learned how to make and receive a call. Matron is more advanced. She can also use text messages. Tomorrow some friendly people have promised to come and teach us more. They are going to have a hard time. PS: I do not know what Apps and Wordfeud is. It's a little late today. Just returned from a tremendous 140-year birthday (2 x 70) I sit with the keys in a little bit of disarray. Some of them seem to change position every minute which leads to many corrections in the execution of my task of writing and makes it somewhat more time-consuming than usual. I have to allocate it to the drink's effects. That's not good, I know, but bad companions almost forced the good wine and good beers down my throat. Hope it will be some time till it happens again. But it really was a lovely and a long celebration. What food we got. I was deeply impressed - and right now a bit indisposed. You know why. Modern times have come to the residents here at our house. 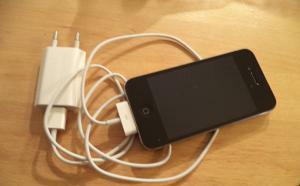 Yesterday I received a gift, an "iPhone 4S". I was very pleased. But now comes as a difficult period when I need to learn how to operate it. I see this as a big mountain to climb. It will cause some frustrations. Well that I have kids who can help. In the midst of my joy at the new iPhone Matron announced that she wanted to have one, too. I held my breath for 15 minutes. The end was, of course, that we bought one for the sweet lady, too. Was it a 4S? Not at all. It had to be a 5'er. So here I sit with my fine 4S and am immediately distanced by a track length. Well, never mind. I will never know the difference anyway and I am overjoyed with my 4S. But the future has truly come to Studstrup. I confess. I voted in favor of joining the EU in 1972. I have regretted a few times since like so many others. But now it's the bottom. Now I want us out soon. 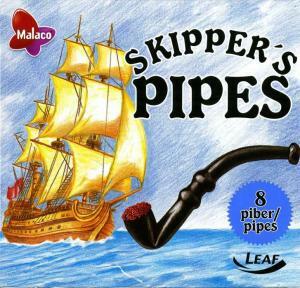 The EU is on its way with a directive putting an end to the sale of licorice pipes because they resemble real pipes. Some "caring" people, the green branch of the European Parliament, believe that liquorice pipe make young people want to smoke. Parliament cannot agree on banning tobacco advertising - but agree on prohibiting liquorice pipes. Stupid. What about banning chocolate frogs? One gets "high" by eating real frogs and toads. The proposal is ridiculous. The Cancer Society even believes that the production of licorice pipes is funded by the tobacco industry. Get lost. Out of a used jam jar with Matron's many job notes to me I pulled one today which read: "CLEAN NORTHERN GABLE FOR ALGAE". It was very hard to find any excuse since there certainly was some need for it, so I picked up myself and went to work. The need is clearly shown on the left picture. 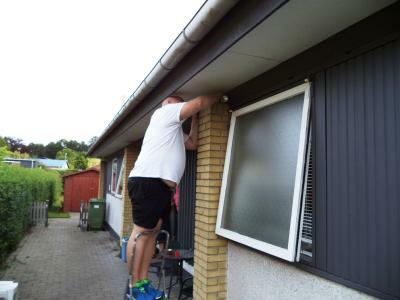 The day before yesterday I sprayed algae-remover on the Whole gable, and according to the user's manual the dried residues should be removed today with a pressure washer and a long broom. 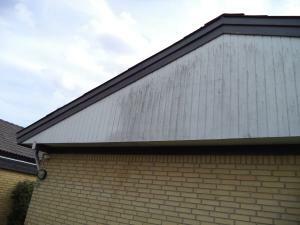 It was easy to operate the pressure washer - just press a button. Matron did that. 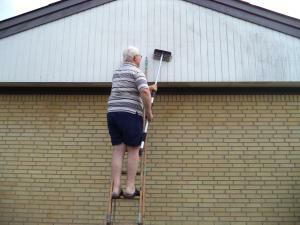 Somewhat more strenuous was the broom. Guess who operated it. NOW, I'm finished. And it is "Vuelta Espana time" in my molded sofa. Deserve it. To bike is to experience. Most often not great experiences, but typically small ones. Maybe it's a house, a tree, a field, a car, or a person who stands somewhat out. Today, it was a small town, a modest village some 15 miles from here, Karlby. There is certainly not in everyday's coverage anything special about Karlby and not at all as far as tourism is concerned. But I saw it as a nice collection of old houses with a quite pretty although somewhat massive church in the middle of the summerly landscape, a good experience. It was also a good experience that little outside the village you can see one of the oldfashioned sign posts, carved in stone. I came home with many good experiences in mind. Taking waste for recycling is a good and Christian deed. Therefore I do it with very regular intervals, every time greatly amazed how such a small family like ours of only 2 people manage to collect so much waste in just 2 weeks which is the usual term. Each time the car (a relatively large van) is filled to the brim with smelly garden waste and miscellaneous items from the household, most of it empty packaging of all kinds. The good thing about getting the waste shed emptied and the waste taken away is that you feel have done some useful work. You have come to the bottom of the dirt, very nice, and once again there is plenty of room for more. No wonder the garbage shed is full up so quickly when you know that every citizen in this country on average delivers 1.600 kilos of waste per year, 3.200 kilos from Matron and I. Explains my back problems. A week ago our Crown Prince was very much in the news because he completed the famous "Ironman", 3.8 kilometer swimming, 180 kilometer cycling and 42.2 kilometer running. The good prince did it all in 10 hours, 45 minutes and 32 seconds. Acceptable. I do not want to stand back to this achievement so this morning I organized my own "Ironman". I paddled 25 meters at the beach, biked 2.5 kilometers and ran once around our house. It was all done in less than 2 hours. As shown in the picture, I was somewhat exhausted after this performance, but like our Crown Prince extremely pleased with the result. (almost 9 hours faster than he). Go home and practise, Frederik. Yesterday I was more or less "grounded" with a bad back. This morning I could only with great trouble climb out of bed, could hardly walk, and I winced loudly. Breakfast and a look at some recordings from my team's victory last night brought a little relief. Oddly enough, I also felt a bit better by joining Matron to a supermarket, all of which meant that I at the return almost ran round to my mower and in record time had our lawns mowed. After this heroic deed, I was yet a bit better. I dare not guess what would have happened if I after that had dug my potato field. That I shall never know, for in a little while the big bike race in Spain will start. It was quite strange. The more I did, the better I was. For God's sake, do not tell Matron about it. I can easily make my time pass without forced labor. I would like to share information about my back pain with my good readers. I have suffered for a week (almost) in absolute silence which clearly underlines my ability to bear pain and being patient. But now it has become too much - even for me. Something is wrong just above the lumbar region. My walking style is hopeless, stooping and quite small steps, can only see 4 feet in front of me and it hurts like h... . No pain killer works. But nothing is so bad that it not is good for something. Tomorrow "The Vuelta Espania" will start, and I can use the opportunity to sit quietly watching it while I recover in my molded sofa. 3-week's bike race can cure almost everything. For the umpteenth time we visited Germany today. And again for the umpteenth time it was the usual 3 big supermarkets we visited. I must admit that it is getting a bit boring. There were 2 highlights, though. The first one was our lunch. A nice and big sandwich with 2 very nive meat balls in it and spiced with nice herbs and a lot more of "I don't know what". The second one was the return drive. We went a different way along the coast of The Bay of Flensburg. A very beautiful ride it was. See Photo. So going into 3 enormous supermarkets can have its compensations. When driving in a car as a passenger, which I did today, you have plenty of time to study the surroundings. Normally, they do not give you big surprises, but just today I got reason to look an extra time. On a fine sign at a driveway it said "OSTRIDGE LOTION". I wondered what that was all about and guessed that it was something you rubbed on the ostrich's feet because it runs so fast. Or a sun block for ostriches. 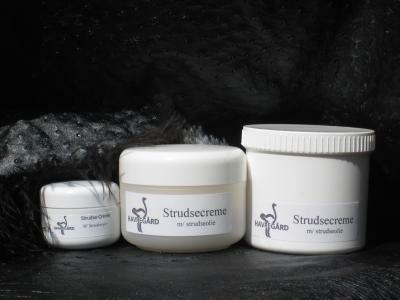 After returning home and a bit of Google I found out that it is a kind of moisturizer made ​​of ostrich fat. According to the ads it should be quite unique and maybe even good for psoriasis. Moreover it said, 'Now also men use ostrich lotion'. So if you see me running very fast you know the cause. For some reason I can not pass a sentry box without remembering a specific incident from my time in the army. Therefore, I did not hesitate stepping into one when today I passed it at one of our very royal palaces. Once again, I felt the narrowness in there and thought of the time in 1963/64 when I at Langelandsgade Barracks in Aarhus now and then were on guard, an unusually tedious business. For two hours one should walk or stand in and around the small house. On a cold October night between the hours. 2 and 4, I could not cope with the boredom. I stepped into the sentry box, pressed my arms out towards either side, let my head drop slightly forward - and slept. It is the only time in my life I managed it to sleep standing up. I do not know how long I dozed off, but I woke up as a noisy truck drove past out on the street. Had the duty officer awakened me,I would have got several weeks in jail - at least. Today's theme is wasp stings. Today I suffered a wasp sting on the inside of my upper lip. It really hurt. In all innocence, I took a can of beer to my mouth, let the cool drink sink in when I felt an unusual object in my mouth. I spat out of all power, but couldn't prevent the ugly insect from stinging me. And then came all the the reactions. I jumped and danced and spat and spat shouting loudly cursing all wasps in the world. Unfortunately for the guilty party it landed in the grass right in front of me and suffered a miserable death under my sandals. Looking after youngest grandson Frederik for 24 hours is a good experience as it is with the other 3 ones. 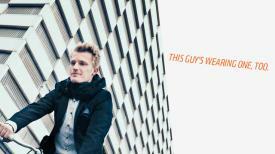 Frederik was with us from midday yesterday and till the same time today. The little guy is always one big smile, always friendly and very active, not least going about long walks. He and I walked 3 tours in all, one over 1 hour. His fitness is better than mine, and he walks and runs about twice the distance that I do as he goes in and out of private garden paths and garage openings. His little legs are lightning fast. 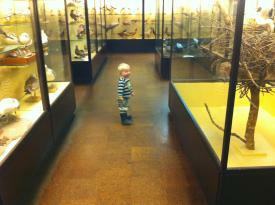 He does not refrain from exploring without Grandpa, so I must keep a good eye on him. The fact that he charms everyone we pass goes without saying. I have started preparing myself. Maybe well in advance, but not quite unimportant. Today is Saturday, August 17th, and in exactly 71 days we are going to change to winter time, 27th of October. The date is obviously important for on that day, all clocks will be put back 1 hour. On this occasion, I have another commitment. I have to put my bathroom scales back 20 kilos . Good invention, it is that wintertime. Using today's technology you can gather information about all sorts of topics. Much of this knowledge is totally unnecessary, maybe amusing, but still unusable. Your heart beats about. 37 million beats per year. (I've never attempted counting them). Your heart pumps about. 2.6 million liters of blood around in your body a year. (A little more if you bike a lot). Approximately 8 percent of your body weight is made up of blood. (No wonder I cannot lose weight ). I'm often nervous to bore my good readers with too many descriptions of cycling. I don't write about them all, though. But today's ride I must tell you about. Son Peter and I rode from Hammel via Thorsø to Silkeborg along the long disused railway line Randers Silkeborg. 45 kilometers. We rode the same route 2 weeks ago - only in the opposite direction. I love bike rides with family. Driving through a beautiful landscape, to talk, to stop and look, stop and drink, to enjoy being together, all that being something that makes me feel I have a good life. When then on top of the bargain the ride can end in my home town Silkeborg and cycle around seeing all the places that were once important to Else and I it is a big extra advantage. Unfortunately, it must be noted that summer is coming to an end. A few leaves have already changed from green to yellow. 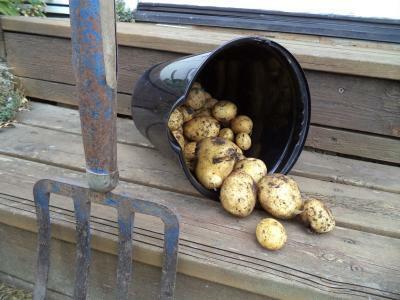 Even more striking is the fact that today I dug out the last potatoes of my potato field. The harvest this year has been mediocre. Quantity reasonable but quality varies. About half have been reasonable while the other half were bad. The potatoes were cooked soft, almost before they hit the water. Matron has expressed her dissatisfaction with the result and demanded that next year must be another kettle of fish. The soil must be replaced, and seaweed be dug down as fertilizer. And guess who is going to do it . Moi. I can already now say: OUCH, my back". Late yesterday I received a sad message. A good old friend has been laid to rest. I had to embrace myself a few moments before I could think clearly. The sad ceremony took place a recycle center in Hammel conducted by son Peter and attended by the site staff and a flock of seagulls. 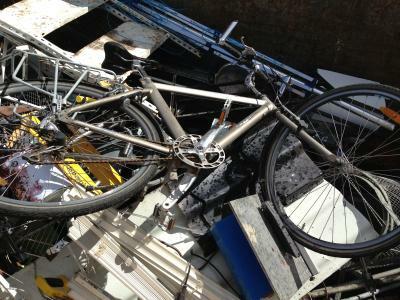 My old bike is no longer. Perhaps it wasn't good looking, but faithfully it carried me around on rides in England, Germany and Denmark. Never failed on me. Always in good shape, although on rare occasions it could run flat. 15.000 km. we went along together, were for long periods almost inseparable. Unfortunately, I wasn't present at the funeral service. That will always nag me. 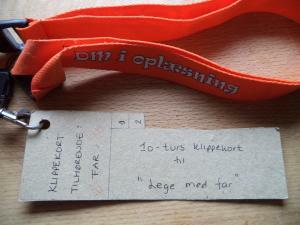 The other day I made a stop in Aarhus in the courtyard of The Occupation Museum at the Cathedral. I've actually been there many times but do not recall ever having seen the sculpture in the photo. Perhaps it is new. Maybe I'm forgetful. In any case, I would like to be aided in the interpretation of it. What is it? High diving, something naughty, flying exercises? I could not find a title on it. There was something close to the ground, but you do not expect a 72-year-old to crawl around on his stomach to read something on a pedestal. 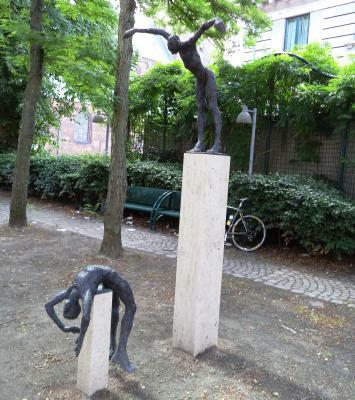 Please write and tell me how you interprete this double-sculpture. Write in my mailbox or in an e-mail. PS: It's my bike in the background. A successful today. I managed to get both my printer and scanner to work under the reestablishment of my computer in my nice, new office (see yesterday's description) . First I had to find that there simply lacked the cable that connects the scanner to the computer. It was gone, just gone. I looked everywhere - I thought , spent a long time on it. So I had to check which cable it was about and awaited forstanderindens homecoming, so I could get the car and drive away for a fortune to buy a new cable. My sweet wife had to be first to listen to my complaints about the lost cable. She looked at me patiently during the examination and then went out in the utility room to scour today's waste bag. And quite as usual , she found what she wanted , my cable . I was happy, but failed to answer her questions about how the cable was over there. I gave her 3 kiss for help , called the underpayment and gave her another one. I have often pointed out the joy of having grandchildren to stay with us. Particularly joyful is it when they make their wishes on cakes for afternoon or evening tea. Currently our oldest granddaughter inhabit our guest room. 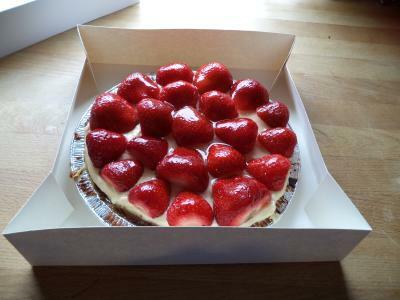 Coincidentally and luckily her favorite cake is strawberry pie which happens to be one of my many favorite cakes. It makes her a very welcome guest. The cake is now gone , and must say that it was more than ordinary good. And this is said by a connoisseur. Bike race does take up a great deal of my daily life for the time being - and I love it. 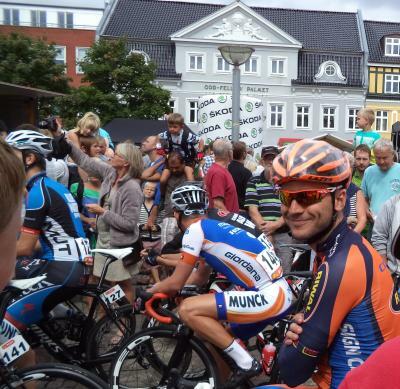 Today we went to Silkeborg to see the start of "Tour of Denmark". It was great and I could once Again meet my old "friends", Lars Bak, Michael Mørchøv, Mark Cavendish and more. However I was most happy to meet my friend Martin Mortensen from "Concordia Riwal", pictured, smiling at the far right. I have followed him for the last 3 years and will continue to do so. I have met him at several races at a private gathering, and he came with me for a whole day on a hunt last year. He is such a nice guy. Hope he will do well. Unfortunately I did not see Brian Holm, manager of "Omega Pharma Quick Step" whom I met last year and who follows me on Twitter. Yes, I do mingle with the well known people. Iam in the process of applying for admission in a club with the fascinating name "BEER CLUB". Clear and simple. I have not yet found out about the club's object clause and rules of procedure. However, these details are not essential to me. It must be the social part of the idea that will carry the club forward (and members home after meetings). The sign made ​​me want to inspect the club premises, and the friendly President welcomed me and encouraged me to take a careful look at these premises, which I did with great interest. 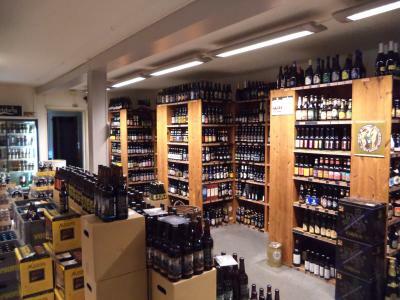 I had no idea that there were so many different kinds of beer and all sorts of bottle sizes, colors and shapes. I could hardly find a European country that was not represented even Iceland was there. Could be a geyser beer. Now I will quietly be loking forward to the first club meeting. Will someone volounteer to take me home? No one will be surprised when I tell that it is hot today. It's actually very hot, it's steaming hot. It's too much. 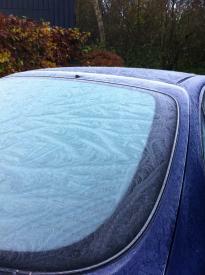 So it was a delightful reminder to see the image to the left remembering the cold days in January. And then when it becomes January, I can show a picture of a sunburnt beach. And that will make me happy, too. 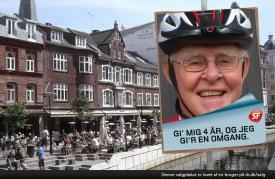 Male members of closest family were out for a bike ride from Silkeborg to Hammel. 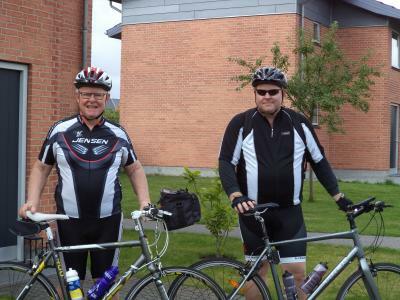 Picture at the start of Silkeborg. 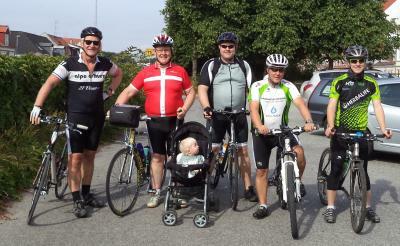 From left: Brother Kjeld, myself, grandson Frederik, son Peter, son in law Kent and grandson Kristian - a winning team. 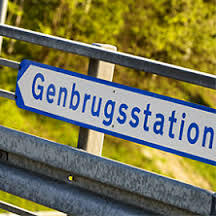 Of course we did not just choose the straight and nearest route, but followed the abandoned Silkeborg-Randers railway until Thorsø to finish with a range of mountains between this small village and our final goal at son and daughter's in law in Hammel. 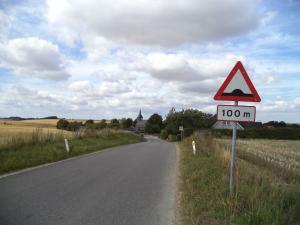 40 km. in total, 15 of them in the mountains, up and down steep hills. The mountain stage was tough. It is not for nothing that Chris Anker (Saxo Bank Tinkoff) comes from Hammel and now is one of the best climbers in Denmark. Obviously the idea was not to select a winner, but had it been a golf match, the handicap system would have given me victory because of my advanced age, even though I was last over the finishing line. Upon arrival were cold beverages and delicious sandwiches ready for all. The very nice female members of the family had prepared this lovely meal. It is so wonderful to gather the family for such a bike ride. One gets very happy. Today I should have patched the hose that punctured at yesterday's mountain stage. Today I should have mowed our lawn. Today I should have weeded in the backyard. Today I should have swept the yard and the driveway. Today I should have cleaned up my workshop. One must be careful with physical efforts in the heat we are having. But if it gets too cold or rainy, I shall suspend things as well. Life consists of delays, thank God for that. In the afternoon visit by Cecilie, Frederik + parents. Seated at the front door of our house, anxiously waiting for dinner (barbecue) with red wine, beer and soft drinks we realized that the interest from several wasps were bigger than we cared about. The humming creatures had "nested" just above our heads. We therefore moved to the opposite side of the house and had our very good meal. But no sooner had I swallowed the last mouthful than eldest son ordered me out into the car. He had against my wishes decided that the wasps had to go NOW. I thought it fine if we could wait until tomorrow. But no. Submissively I followed him trying to remember the days when it was I who made ​​the decisions. In the nearest DIY store we purchased on eldest son's command a spray bottle with wasp venom. He attacked the wasps from several sides, and they are now laid to rest. All in all I am quite happy with it. I just read in a newspaper that the world's first artificial burger steak has been made ​​- and has been eaten. Made of stem cells from a cow. Bon Appetit, I say. It sometimes happens that I eat a burger, usually with pleasure and pay 80-90 kroners for a burger menu, i.e. burger + fries + coke. Expensive, but probably not unreasonably expensive. This rate can not keep up when compared to the artificial steak burger. It holds the tidy price of 1.8 million kroners. For that I could get 45,000 burger menus. However, it is promised that the next one will only cost 1.4 million. Now they are talking sense. When at night, I have to get up for a small, necessary errand it happens on rare occasions that I cannot fall asleep again. It does not bother me a lot. I just let my mind fly. And I must tell that I get around. Nothing is too small. Experiences, conversations, movies, etc. Tonight I stopped at music. I was wondering how rarely I put some good music on the recorder, sit down and relax, and perhaps read. It seldom happens, not to say never. The music I could wish for is everything from classical to contemporary music, like Danish song idols. I like the music of the great classics, Mozart, Bach, Beethoven, etc. But I would also enjoy modern music, Bob Dylan, The Beatles and Irish folk songs, just to mention a few. I really wish that I could promise myself to implement my wish. But maybe I'm still too restless. Hope it disappears with age. Many people find peculiar number combinations regarding dates and year. Numerous couples wanted to marry on 11/11 2011 at 11 o'clock. Also on 12/12 2012 at 12 o'clock. However, not on 13/13 2013. I have studied the figures for today. It is the 8/8 2013. So we now have 16 and 6. Two figures, each with the number of 6 in them. When I was a soldier I was called "Big Hat" due to tthe fact that he Danish army had the greatest difficulty in finding a hat that was big enough for me. They succeeded after 2 weeks. The name is still used on me by an old comrade soldier. Some might suggest that I also have large hands. Today I visited the largest bike dealer in Aarhus, a huge store with everything in bike accessories, to buy a new pair of cycling gloves. But alas. They were able to supply only up to 3XL. It's too small. I must have at least 4XL. I had to leave empty-handed. On the way out the door I came to think how fortunate it is that my feet are not proportionate to my head and hands. In that case I would have to use size 18. I 've had some problems with my hairdresser. 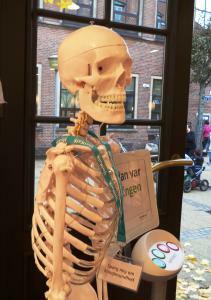 For two weeks I have been trying to book an appointment, but it was hopeless. Busy days, including the hairdresser's work outside the salon, prevented my wishes for a haircut continually . I'm not happy with that as my appearance means a lot to me. A sloppy and shaggy hairstyle only fits badly with the branded clothes I wear. But finally this morning an opportunity occurred A sudden call brought me in place in the salon, and in no time it was all over, with the result shown in the photo. I myself am satisfied with the work done, which I told to the sweet hairdresser. She replied that if she couldn't do it probably no one could. "For," as she continued, "after all we have been married for 50½ years and I have cut your hair you since 1988." I have been on a flee market today, with part of the Family + Matron. It was nice walking around between all the more or less useless things exchanging small comments with other visitors. I visited the same market 2 years ago, and compared to that there were no surprises to find today. And still. There was one. I wasn't sold. There was not even a bid. Sadly, when you consider how much other useles stuff was changing hands.